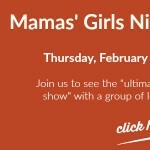 HomeArtsy MamaLast chance for Mamma Mia Girls Night Out! Girls Night Out is tonight!! We are PUMPED! We’re going with a big group of local moms to see the show Mamma Mia on the Walton Arts Center stage tonight. 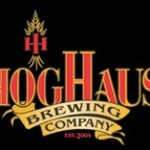 And we’re meeting up for a pre-show Happy Hour at Hog Haus Brewing Company, which is right across the street. 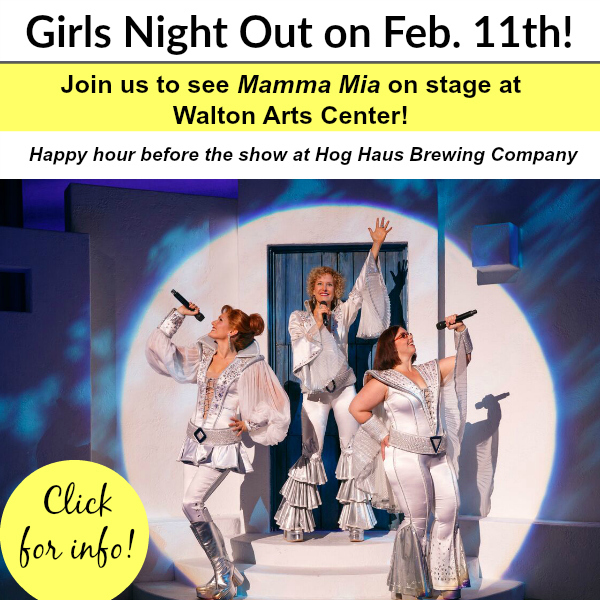 Come by Happy Hour any time between 5 p.m. and 6:45 p.m. Then we’ll walk over to the Walton Arts Center and find our seats because the curtain on the show goes up at 7 p.m. Get all the details by clicking HERE. There may be some last-minute tickets available and we do have a group discount, so call Rachel at the Walton Arts Center (479-571-2719) to see if you can get a ticket. Be sure to tell her that you want to sit with the nwaMotherlode group. 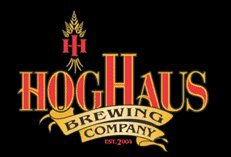 During the pre-show Happy Hour at Hog Haus, we’re going to give away some fun door prizes provided by mom-friendly companies like Belle Boutique, Walton Arts Center, Amazeum, Revive Medical Spa, Kyya Chocolate and the Walk a Mile in My Shoes shopping event. Many thanks to the sponsors who made the door prizes possible. We appreciate you!